With his third Indian history/mythology fantasy novel itching to be released, author Ashwin Sanghi gives us a glimpse inside the book. The naughty willful child, the paramour and statesman who was the brains behind the epic war of Kurukshetra - Krishna’s lore in Hindu mythology deals with different shades of the dynamic deity. A twist in tale for the modern times, Ashwin Sanghi’s new book The Krishna Key starts off with the tenth avatar of Vishnu, a successor to Krishna who promises to deliver the world in the dark times of Kali Yuga. For someone who has mastered historical noir, the author delves deeper into the myth of ‘Krishna,’ the saviour. “Mythology according to me is a glorious lie to uncover a greater truth as people accept it at face value. Indian mythology is based on history, historical figures and events. 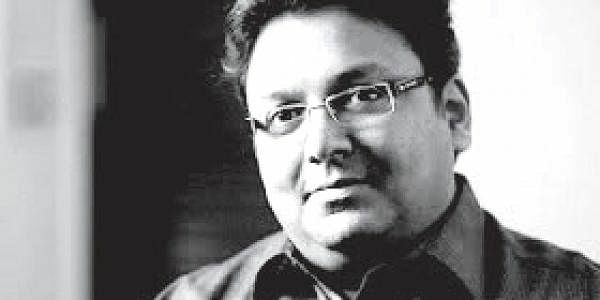 Moving Krishna from a mythology to a history reading shelf gets my adrenaline pumping,” confesses author Ashwin Sanghi. In his words, his third novel is an attempt to peel the layers off Krishna to place him in the present context. In the absence of an explanation to the origins of its characters, a myth remains just that. “The Xbox generation is not content reading ancient tales unlike us who grew up on a staple of grandmother’s bedtime stories and Amar Chitra Katha. It is important to package stories well for the generation which demands that the plot be woven around rational narratives,” observes the author. The plot centres around the crimes committed by a misguided serial killer who believes that he is the 10th avatar, Kalki. The trail of the murderer is the key to a legacy of Krishna and his crimes are committed ‘in the name of god’. In a society which is extremely sensitive to all things religious and holy, it must be a challenge to weave a plot around the revered blue god. “I had to be extremely cautious in dealing with this topic as we put a premium on personal belief and faith,” says Ashwin Sanghi who put in close to 18 months of research in chalking out the plot. A writer who follows method more than madness, Ashwin Sanghi put in a month’s work to chalk out the plot structure, including details of the character, objective and questions to be answered in each chapter. “I had to read 50-odd books and an equal number of research papers and journals. There is a lot of information available already on the existence of a character called Krishna in history. The research on the submerged city of ancient Dwarka carried out by SR Rao is there in the public domain, but to bring it to the realm of popular fiction ensures better readership of the research,” says the author. The narrative unfolds pan-India, following the protagonist Ravi Mohan Saini, who is a historian. Decoding Krishna and injecting fiction where the evidence of mythology falls through is an expedition the author takes up, bringing Krishna alive. “Since time there are myths which get propagated and transform a normal mortal to an elevated human. Krishna’s story follows the same path,” adds Ashwin Sanghhi. For the mythology-historythriller triumvirate, August 24 will mark the launch. The blurb of the book reads as follows: Historian Ravi Mohan Saini must breathlessly dash from the submerged remains of Dwarka and the mysterious lingam of Somnath to the icy heights of Mount Kailash, in a quest to discover the cryptic location of Krishna’s most prized possession. From the sandwashed ruins of Kalibangan to a Vrindavan temple destroyed by Aurangzeb, Saini must also delve into antiquity to prevent a gross miscarriage of justice.